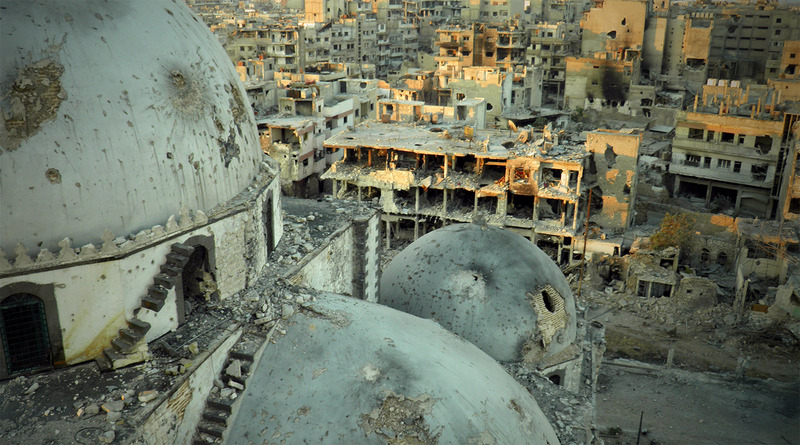 SNHR issued a comprehensive report on June, 6, 2013 that documents the systematic destruc-tion of mosques in different Syrian governorates through arbitrary and deliberate shelling by the government forces. We documented more than 1451 mosques, in that report, which were destroyed either completely or partially. After that report, government forces continued targeting and destroying mosques. Massive acts of shelling on Aleppo by barrel bombs have damaged big number of mosques. We mention here that big number of mosques is used as schools, in addition to its original role as a place of worship. That was so because arbitrary and deliberate shelling by the government forces put more than 3874 schools out of service, according to a previous report by SNHR. In addition to that, some Al Qaeda-affiliated groups use schools as bases for them. The same is done by some groups from the armed opposition. The methodology of this report is based on field visits conducted by the team of SNHR to Aleppo, where the team met civilians who survived the shelling on their areas. Please note that the names of the eyewitnesses have been changed according to their own will.